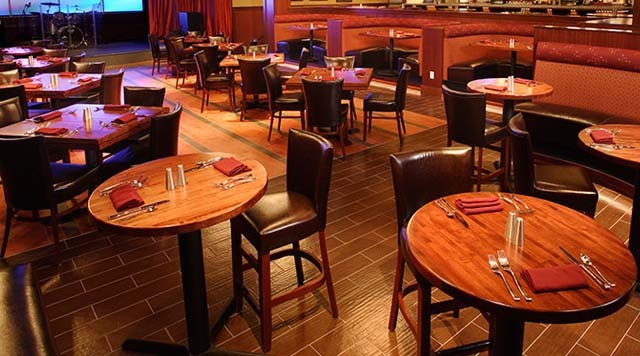 The area's favorite hot spot is Blue Chip's entertainment and dining venue. It's Vegas Baby! is a full-service restaurant delivering a fun, interactive experience. Select from a menu featuring Midwestern favorites with a Las Vegas flair! Then party the night away to the best in live entertainment. You must be 18 years of age or older to dine at It’s Vegas Baby! Reservations are not required, but are recommended for dinner. There is a $5.00 split plate charge for sandwiches and entrees served at It’s Vegas Baby! You must be 21 years of age or older to enter the night club. Bands are subject to change without notice. Wine & Canvas has a minimum class size required and is subject to cancellation. There is a $5 cover charge Friday & Saturday.